Chief Risk Officer for Trammo Inc. on a career in corporate recovery, restructuring companies and the future of ammonia trading. A potentially dangerous topic at the dinner table, but about the water cooler? 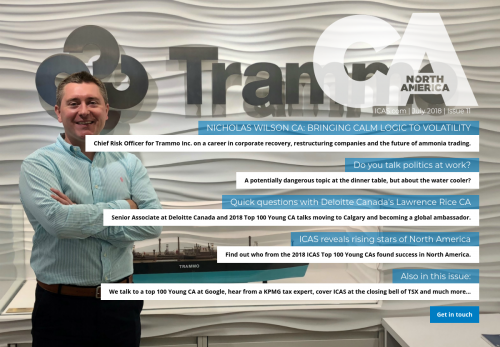 Senior Associate at Deloitte Canada and 2018 Top 100 Young CA talks moving to Calgary and becoming a global ambassador. Find out who from the 2018 ICAS Top 100 Young CAs found success in North America.